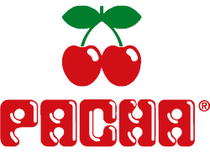 2013 has been a big year for Pacha Ibiza with Solomun on Sundays; John Digweed, H.O.S.H. and Fritz Kalkbrenner residents at Insane and then there was Guy Gerber’s Widsom of the Glove night. There was also the regular appearances of Chicago/San Francisco DJ trio Derrick Carter, DJ Sneak and Mark Farina and David Guetta’s F*ck Me I'm Famous party.